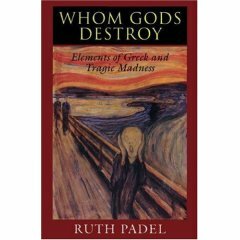 This work explores the representation of madness in early Greece as violent and damaging. The book traces the Greek language of madness and shows how its images continued through medieval and Renaissance societies. 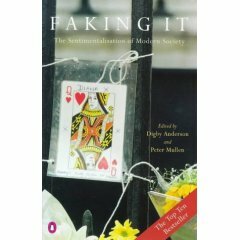 Charts the rise of the fraudulent in modern society, from government policies more concerned with spin than substance through to the over the top reactions to the death of Princess Diana. There are twelve essays on subjects like modern music, religion and the sentimentalization of children. Originally published in 1998 by the Social Affairs Unit. This classic best-seller, which describes the causes of and cure for depression, has been completely revised and updated to reflect the changes in the understanding and treatment of depression in the last two decades. Depression is today’s leading emotional problem, with a skyrocketing number of reported cases. But there’s much hope for those who suffer. 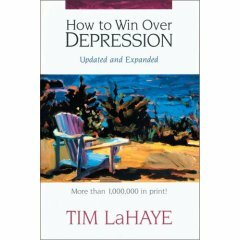 If you or a loved one struggle with depression, whether mild or sever, Dr. Tim LaHaye assures you that there is a way to overcome those dark, hopeless feelings–even if previous counseling hasn’t helped. With over one million copies sold since its first printing in 1974, How to Win Over Depression has made a life-changing difference for countless people worldwide. Now completely revised to incorporate the latest research, this book outlines principles from the Bible that can help you put depression behind you and keep it there, regardless of your circumstances. Dr. LaHaye examines the causes and treatments of depression, including physical imbalances and the therapeutic use of anti-depressants. Then, in simple language, he describes his own approach–one that’s proved successful time and again for over twenty years. Digging beyond the physical and emotional components of depression, Dr. LaHaye takes you to its spiritual root and provides a means for eradicating it from your life. So whether it’s just a case of the blues or a serious overwhelming sense of despair, depression doesn’t have to master you. Learn how you can master it with How to Win Over Depression. Most people are repelled and intrigued by the images of cold-blooded, conscienceless murders that increasingly populate our movies, television programmes and newspaper headlines. 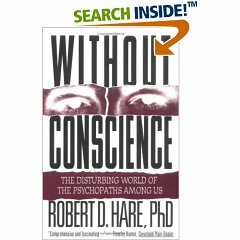 With their flagrant criminal violation of society’s rules, serial killers like Ted Bundy and John Wayne Gacy are among the most dramatic examples of the psychopath. Individuals with this personality disorder are fully aware of the consequences of their actions and know the difference between right and wrong, yet they are terrifyingly self-centred, remorseless and unable to care about the feelings of others. Perhaps most frightening, they often seem completely normal to unsuspecting targets – and they do not always ply their trade by killing. Presenting a portrait of these dangerous men and women based on 25 years of scientific research, the author describes a world of con artists, hustlers, rapists and other predators who charm, lie and manipulate their way through life. Are psychopaths mad, or simply bad? How can they be recognized? And how can we protect ourselves? This book provides information and insights for those seeking to understand this devastating condition.